Finding the right properties take a fair amount of research. One trick many investors utilize is to simply work with other investors. When you work with another investor, you will share common goals, property standards and will be on the same page overall. Buying from an investment company such as NoCo House Buyers Inc will save you the hassle of doing all of the research on your own. 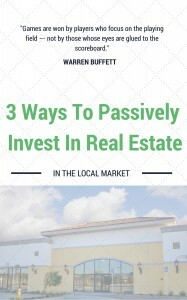 We have done the financials, we know what the property brings in as well as the future potential and how to get there. This means you are able to buy without any of the guesswork.